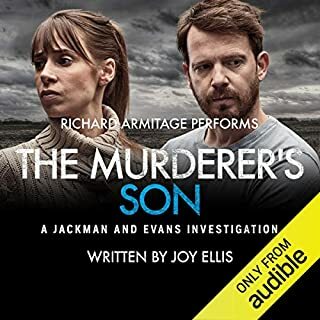 A shocking double-murder scene greets Detective Inspector Philip Brennan when he is called to a flat in Colchester. Two women are viciously cut open and laying spread-eagled, one tied to the bed, one on the floor. The woman on the bed has had her stomach cut into and her unborn child is missing. But this is the third time Phil and his team has seen such an atrocity. Two other pregnant women have been killed in this way and their babies taken from them. No one can imagine what sort of person would want to commit such horrible crimes. The Dead Eyes killer lurks in the backyard of the FBI's famed Behavioral Analysis Unit. His brutal murders, unlike any others previously encountered, confound the local task force, despite the gifted skills of Special Agent Karen Vail, the first female ever promoted to the profiling unit. But along with her keen insight, Vail brings considerable personal and professional baggage--both of which threaten to derail the investigation, destroy her storied career and get her killed. Dr. Christopher Kellan spends his days at Loveland Psychiatric Hospital, overseeing a unit known as Alpha Twelve, home to the most deranged and psychotic killers imaginable. His newest patient, Donny Ray Smith, is accused of murdering ten young girls and making their bodies disappear. But during his first encounter with Donny, Christopher finds something else unsettling: the man looks familiar. In a residential Washington, D.C., neighborhood, a young woman's body is found in the basement of an abandoned house - starved to death in a cage, along with the video footage of a dark and deadly ritual. 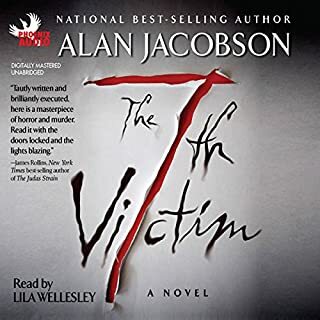 The victim is identified as the daughter of a prominent D.C. politician, and it falls to the FBI to track down the unconscionable psychopath who murdered her. FBI special agent Sayer Altair would rather conduct research on criminality than catch actual criminals. But when she's offered a promotion hinging on her next assignment, she reluctantly accepts the "Cage Killer" case. Psychiatrist Evelyn Talbot has dedicated her life to solving the mysteries of the psychopathic mind. Why do psychopaths act as they do? How do they come to be? Why don't they feel any remorse for the suffering they cause? And are there better ways of spotting and stopping them? 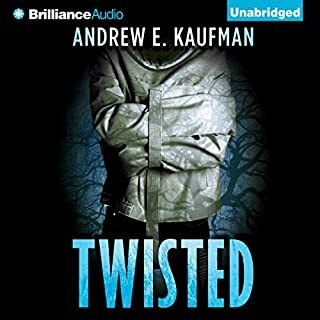 After having been kidnapped, tortured, and left for dead when she was just a teenager - by her high school boyfriend - she's determined to understand how someone she trusted so much could turn on her. When five-year-old Ava Sawyer goes missing from a birthday party at a local garden center, the police are bewildered by the lack of leads. That is, until two years later, when Ava’s body is found and another little girl, Audrey Briggs, goes missing. Audrey also attended that party. Leading the investigation is Detective Natalie Ward. A mother of two teenagers, this case chills her to the bone and is a disturbing reminder of the last job she worked on. One that still keeps her awake at night. Eva never really wanted to be a mother - and certainly not the mother of a boy who ends up murdering seven of his fellow high school students, a cafeteria worker, and a much-adored teacher who tried to befriend him, all two days before his 16th birthday. Now, two years later, it is time for her to come to terms with marriage, career, family, parenthood, and Kevin’s horrific rampage, in a series of startlingly direct correspondences with her estranged husband, Franklin. Into the house. Down the stairs. Through the dripping dark of the cellar. Someone is there. Someone that shouldn't be there. As a building awaits demolition, a horrifying discovery is made inside the basement: a cage made of human bones - with a terrified, feral child lurking within. Unbeknownst to DI Phil Brennan and psychologist Marina Esposito, they have disturbed a killer who has been operating undetected for 30 years. A killer who wants that boy back. But the cage of bones is also a box of secrets - secrets linking Brennan to the madman in their midst. 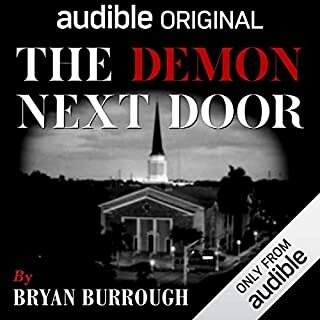 With the death toll rising and the city reeling in terror, Brennan and Marina race to expose a predator more soullessly evil than any they've ever faced - one who is hiding in plain sight. 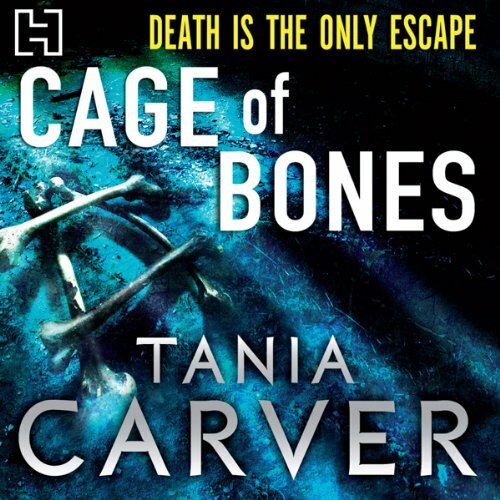 If you could sum up Cage of Bones in three words, what would they be? What was one of the most memorable moments of Cage of Bones? The twists and turns that constantly occur throughout the book. You are lead to think the direction is one way and then are disabused of that notion. What about Martyn Waites’s performance did you like? Very well narrated, though the acent drifted all around the north east of England at times. However the overal naration was superb, certainly an edge of seat performance. Yes but I can't say without ruining a major plot line. 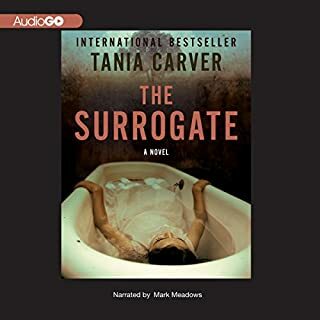 This is the first Tania Carver novel I have listened to, but I can guarantee it won't be the last. Ms Tania & Mr Carver are improving with each book they write. If you like your plots fast moving, a bit horrific, with characters you can become familiar with in a series and like then this is for you. No great piece of literature but it doesn't matter if you're a lover of thriller and suspense genre and it is actually quite well written. The book will keep your attention from the get go and builds to a climax that just maybe you can see coming and the ending is quite satisfying. Martyn Waites, as narrator, does an exemplary job with a not quite British but more of an international accent. I will watch for more of his. Recommended for all thriller lovers. Yes.Wondering why they kept the child in such a way had me listening to this book on my iPod everywhere I went to find out. When the cage was being described. I also liked the scene when the social worker was talking to the feral child for the first time. This book was fantastic! I wasn’t able to predict all of the twists the plot took, which I enjoy. I did not realize this is the third book in a series, however you can read this without reading the other two. The author gives you just enough information to understand the character’s backstories without giving away the plot of the first two books. I will definitely be reading the rest of this series! There was a decent story here but it took too long to tell I think. It was hard to follow in places. I don't feel the credit was wasted but I hadn't enjoyed it as much as I expected too. It moved too slow in places, too much time spent on elements that did not matter as much. Would you listen to another book narrated by Martyn Waites? Did Cage of Bones inspire you to do anything? I am reading Tania Carvers books. 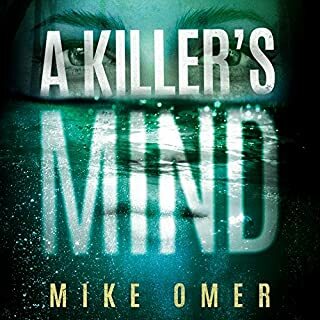 This is the fourth book in the series of five and it lives up to the books, it gets you so engrossed in what is happening the same as reading the books. I love the main characters, as I am reading the books I now all about them. The beginning of the story makes you sit up and wonder wow what is going on, love it.